WM McClain | Inside Sales and Support — W.M. 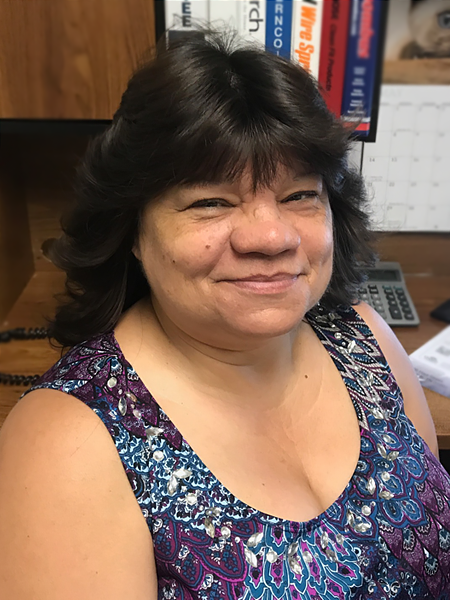 McClain Co., Inc.
Kathy has been with the Agency since 1992 and is currently our office manager. She is also a stockholder and a member of our Board of Directors. She is versed is all aspects of our inside operations including, customer service, order entry, accounting, technical support, and show logistics. We constantly receive positive feedback from the field on the job she does and the attitude Kathy has every day. Kathy has long term relationships with many of our distributors and manufacturers. She has also been present at distributor shows and attended various training functions at several manufacturing facilities. Sandra began with the agency in 2003 and came from the Bagley acquisition. Her 25 years in the plumbing industry has proven to be a valuable asset for our Agency. Her primary responsibility is customer service. Her other responsibilities include inventory control, order entry, order expediting, as well as support for Kathy. Brenda began with the agency in April 2017. She has been in a non-related industry for over 20 years and has proven to be a valuable asset for our agency. Her primary responsibility is customer service. Her other responsibilities include inventory control, order entry and order expediting.